On the boulder with the character "N", along the bue path. 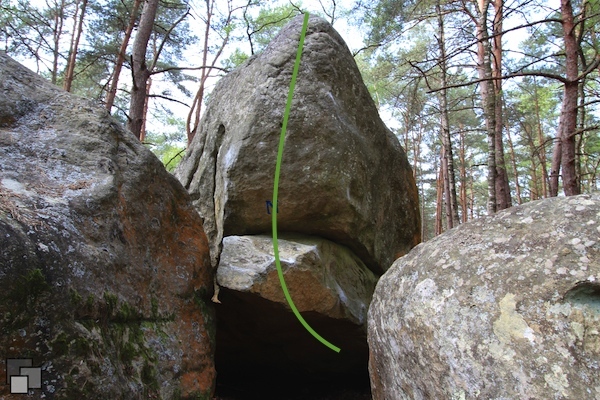 Low sitstart on the first sidepull to the left under the roof, climb the overhang, mantle up on the first part of the boulder without touching the other boulders left or right and finish at the top. Standing start is 5c/6a. NB: this old but confidential problem has been rediscovered recently by Theodoros Konstantakopoulos.